‘Thought Leader’ is one of the buzzwords in business nowadays. What distinguishes a thought leader from a ‘normal’ leader? Simply speaking, thought leaders are what the internet would call influencers, they are those with high Klout scores and high follower numbers on Twitter because they are experts in one specialized field. Thought leaders are those individuals and organizations that lead the discussion on a specific topic. Others seek them out because they have the necessary expertise and knowledge in a field and others trust their opinions. However, knowledge and expertise are not sufficient, a true thought leader is able to inspire others to follow their example and can transfer their ‘secrets to success’ to help others succeed. 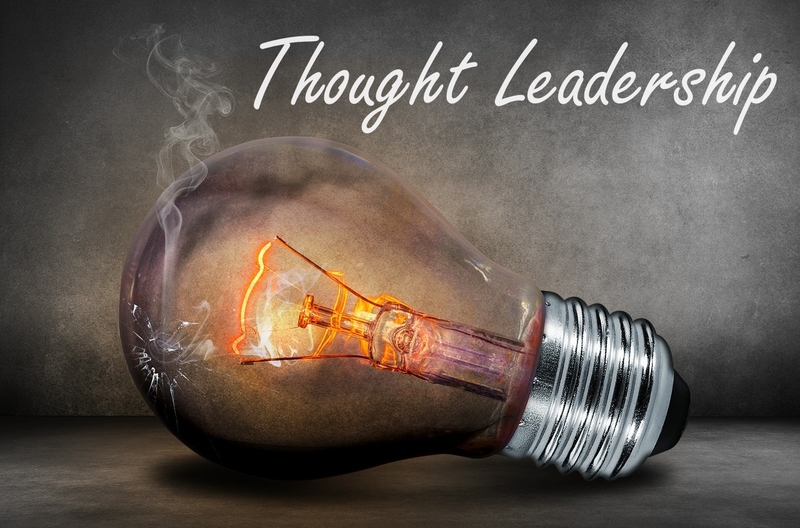 Thought leadership is all about pushing the boundaries and not sticking to the tried and true. What do thought leaders have what others lack? People will turn to you for your opinions and they want to be able to trust you. If you lack the necessary self-confidence to present yourself or your product/service, it will seem as if you don’t really know what you’re talking about. This creates mistrust and weakens your position as thought leader. But take heed: there is a fine line between self-confidence and arrogance! As we mentioned before, a thought leader needs to have extensive knowledge of a specific subject matter. Look for a specific aspect in a field that no one else deems important enough to learn more about. Having specialized knowledge sets you apart from the competition. Knowing the gist is not enough. You need to be able to answer any question on the topic, even if the answer is an honest ‘I don’t know’. Uttered with self-confidence, this underlines your credibility more than a half-true, uninspired answer. What’s a leader without followers? Just a guy taking a walk. The joke may be as old as mankind, but it holds true in the age of the internet more than ever before. You need to build strong connections with people and earn their loyalty and trust. Making and fostering connections helps you and your product get more attention. Connecting with other thought leaders in turn increases your own value as a thought leader. So, get out there, engage yourself, join discussions and groups and make meaningful connections. To be a thought leader, you need to know exactly what you want and how you want to get there. Having a clear vision of what you want to achieve will help you work more efficiently towards it. Share your vision with people and be enthusiastic about it. How can project management implement thought leadership? In business, thought leadership is often used to improve or create demand for a product or service, but also to establish a loyal ‘followership’ of dedicated customers and stakeholders. How can you create thought-leadership-thinking in your project team? Invest in building trust between team members, as well as customers and key stakeholders. Trust is the key to any long-lasting relationship. You want your team to stay on and for the customers to return. If you don’t believe a goal is possible, no one else will. Identifying with the goal encourages and motivates you and your team to work harder to complete the project successfully. Despite standardization and automatization, rach project is unique and you can’t expect people to know everything about it beforehand. A sort of ‘pre-production’ period before the project startsis a great way for the team to immerse themselves in the topic, do research and acquire knowledge that will benefit the project throughout. Encourage your team to think outside the box by giving them the freedom to experiment. Sometimes established processes can become inefficient for some reason, so your team needs to find new and creative ways to increase efficiency. Don’t let monotony ruin your team’s motivation, but give them tasks that will continuously challenge them, thus, facilitating personal growth and expertise alike. Thought Leadership for Project Success - InLoox • Copyright 1999-2019 © InLoox, Inc. All rights reserved.